Two games into the regular season, the revamped offensive line has done an outstanding job protecting Stafford. 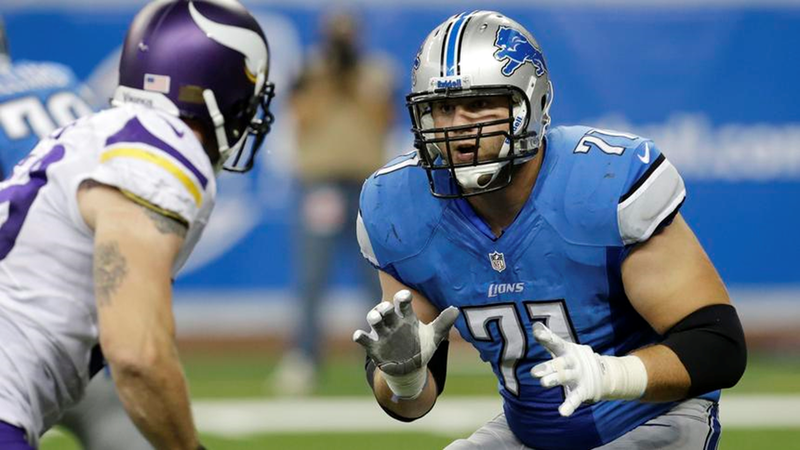 ALLEN PARK — Hear all that angst about the Lions’ revamped offensive line? Throughout the spring, throughout training camp, the line with three new starters was one of the big question marks on this team that was coming off a 4-12 season. Now Riley Reiff, Larry Warford, Jason Fox and Corey Hilliard have answered all questions with the departures of Jeff Backus, Stephen Peterman and Gosder Cherilus. Through the first two games, Matthew Stafford has been sacked exactly once. That statistic carries more weight considering in week one they were playing defensive end Jared Allen and the Vikings who feast on quarterbacks for lunch. This offensive line faces another huge test on Sunday at Washington. The Redskins have accumulated seven sacks in their first two losses — three of them from outside linebacker Ryan Kerrigan. Even so, the Redskins are rated dead last in the NFL in overall defense. “I’m not buying into this is the worst defense in the NFL because they’re not,’’ Lions center Dominic Raiola said. Guess general manager Martin Mayhew knew what he was doing when he went with Reiff at left tackle — the plan since he was drafted in 2012 — and didn’t move up in the draft to nab Eric Fisher, Luke Joeckel or Lane Johnson, all attractive tackles. Mayhew knew what he had in Corey Hilliard and hoped to see what he has seen from Jason Fox who was a fourth-round pick in 2010. Fox earned the start out of camp, but was injured in the first half against the Vikings and Hilliard has filled in. Fox isn’t expected to play on Sunday. Perhaps the surprise has been rookie Larry Warford, a fourth-round pick, who has stepped in at right guard. Warford has been no surprise to the coaching staff or anyone who saw him at OTAs, training camp or even rookie minicamp. He got more time in preseason games than anyone on offense. Not only is this revamped line protecting Stafford but they’re opening up lanes for the running backs. The new guys have leaders in Raiola and left guard Rob Sims. Even when others were questioning the stability of the line before the season, Raiola was steadfast that they would be fine. So far the offensive line has come through. Raiola knew it all along.